Aminah and Salim, the brother-sister duo known as Madu approached me looking for help with a press kit. 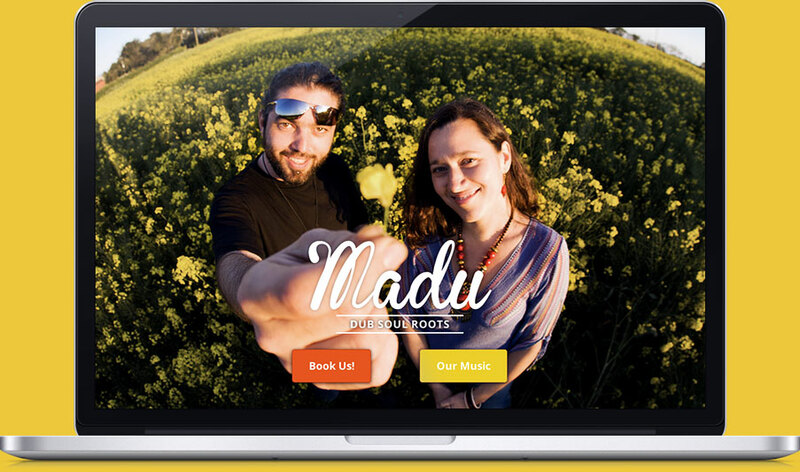 Instead of preparing a PDF document, I proposed a simple site, presenting Madu's music, a recording of a live performance and booking info. Using a few photos from their recent press shoot, footage recorded at one of Dublin's jam sessions and a SoundCloud track, I built a one-page press kit for the band. While SoundCloud offers some embedded player customisation via CSS and templates, it wasn't enough for this particular project. Luckily, I found Waveform.js, which allowed me to display the SoundCloud sound as a waveform on screen and customise its appearance making use of the HTML5 <canvas> element. © 2019 Igor Kochajkiewicz T D	Madu photos by Eoin Holland.